When I graduated from Wake Forest, I had big plans for my life. I wanted to get my counseling license, start a private practice and have a big family. In many ways, my dreams came true. I am a wife and a mother of five children ranging in age from 2 to 11. I earned my licensure and worked in private practice. 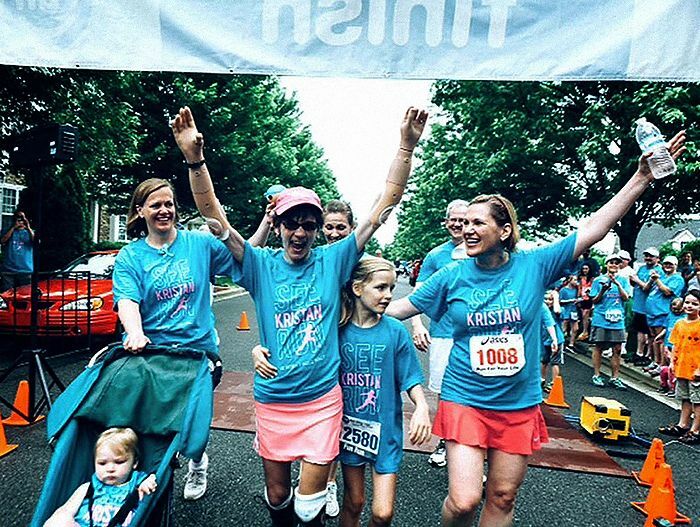 I became a stay-at-home mom and an exercise instructor with a passion for running, even qualifying for the Boston Marathon. But in 2013, my life plan fell apart. I got the flu and strep throat. That turned into double pneumonia and sepsis, which ultimately led to septic shock. As my organs were failing, I was put into a medically induced coma. It took six hospitals, 100 days and millions of prayers, but I came through with a miraculous recovery. But not without cost. Both hands, one foot, and the toes and heel of the other foot were amputated. To come back from medical catastrophe, did it take a lot of hard work? Yes. Prayers? Yes. Did it hurt? Absolutely. It still does. 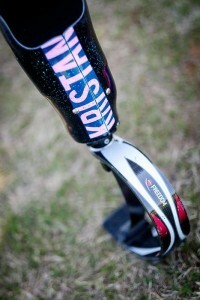 I owe a debt to wounded warriors because the technology advances that helped them helped me. I was fitted with state-of-the-art prosthetic hands, even a fancy running blade. At the rehab hospital I spent the first three days learning to open and close my robotic hands — one-fourth of the way, one-half of the way, three-quarters of the way, all the way. Repeat. I began each day with weighted leg lifts, arm circles and core-strength work. Next came mom-skill goals: Put juice into my toddler’s sippy cup and walk across the room with a Styrofoam cup of water. I spilled a lot of juice and crushed a lot of Styrofoam. At times my hope faltered. But I continued and set new goals: Carry my toddler upstairs. Drive a car. Run a 5k! At Wake Forest, I learned in my studies that there are predictors of resilience: self-confidence, psychological health, intelligence, optimism, previous successes in the face of trials and a supportive family and community. Luckily, I have them all. But the truth is that no one knows how he or she will react to a tragic turn in life until it happens. If you had asked me a year ago if I would be able to bounce back, my answer would have been quick and resounding: “No!” But I have never been one to accept defeat. I looked at the pictures of my playful kids on the wall of my many hospital rooms, and I saw the encouraging, hopeful look in my sweet husband’s eyes, and I knew I could accomplish anything. "Resilience is not letting anyone or anything beat you." I am bolstered by my faith, my family and my community. My professors and classmates from Wake have reached out to me with encouragement and hope — even fed my family dinner on occasion. 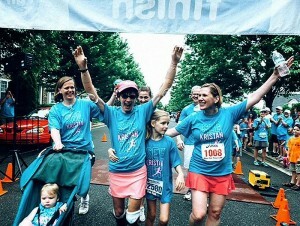 One classmate traveled to Charlotte to participate with her family in “See Kristan Run,” a charity 5k organized in my name. My community packed lunches and prepared dinners. Personal attitudes and actions may signify resilience, but they aren’t done in a vacuum. It takes a community. With the help of so many, I am now, once again, living the big, busy life of a mom who works out, teaches group exercise, volunteers at school, coaches Girls on the Run, shuttles my kids to activities, signs reading logs and tucks her children in bed. I once viewed these activities as obligations. Now, I consider them gifts.